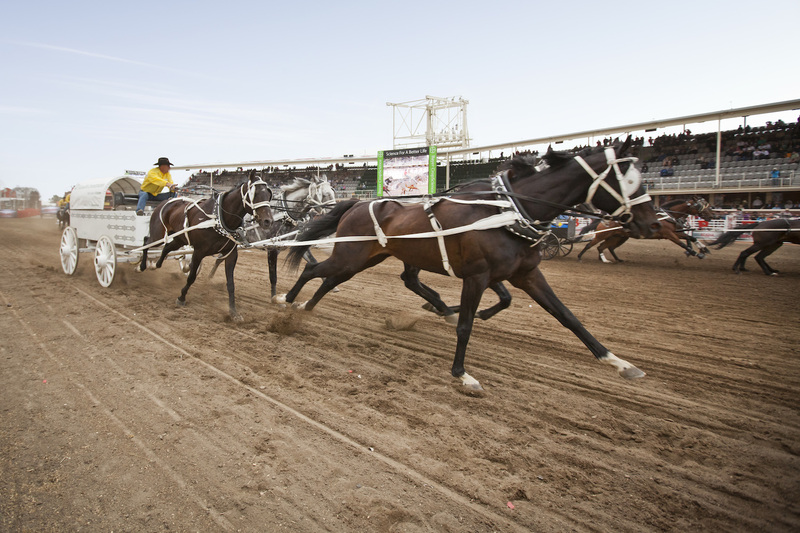 All kinds of competitions are on offer at the Calgary Stampede. A cowgirl poses with two RCMP officers. A cowboy shows of his skills at the Calgary Stampede. Revelry at the Calgary Stampede. 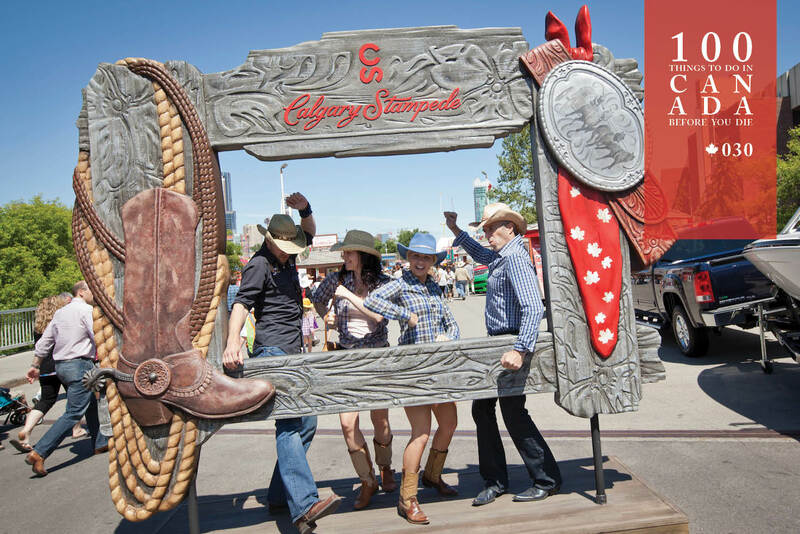 Channel your inner cowboy at the world famous Calgary Stampede. It’s not called The Greatest Outdoor Show on Earth for nothing. For 10 dust-and-dazzle-filled days in Alberta at the beginning of each July, you’ll be rewarded with a front-row seat to top-flight rodeo events, hair-raising chuck wagon races, free live concerts, livestock shows, marching bands, fireworks, parades, quality markets and more authentic Old Western swagger than you can poke a branding iron at. But the pinnacle drawcard is unquestionably the nightly Grandstand Show, a musical extravaganza featuring hundreds of dancers, singers, horses, acrobats, lightshows and other spectacular performances. 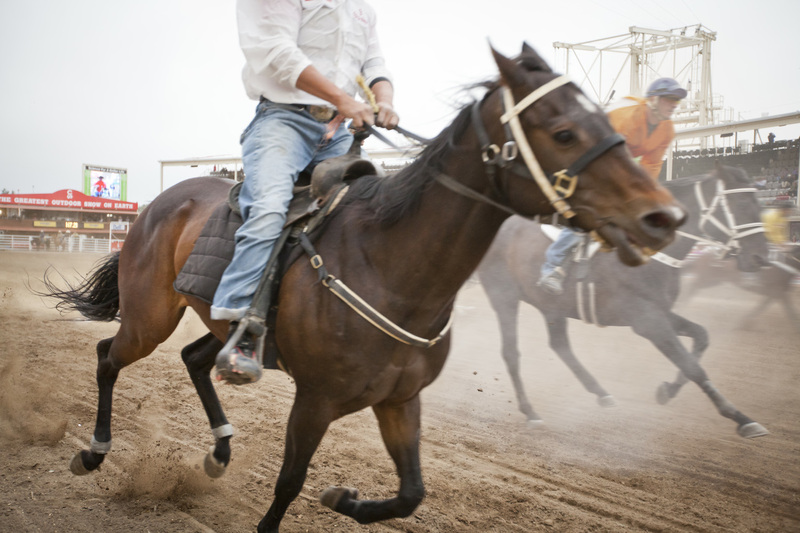 An iconic cultural event, agricultural fair and epic derby on the grandest possible scale, this truly is a once-in-a-lifetime experience. Join the fun of the Calgary Stampede (calgarystampede.com) each July on the Cowboys & Glaciers cruise from Worldwide Cruise Centres (worldwidecruisecentres.com.au). Stampede Park is a lasso throw away from downtown Calgary.